Jellyfish inhabit the ocean and they can be found anywhere in the world. If you love bathing or swimming in the sea, then you must be aware a jellyfish sting can take the pleasure out of being in the water. The pain is agonising and it can even be fatal to some people. We tell you what to do in case you are stung by a jellyfish. Not all jellyfish can cause an adverse reaction. Each person reacts differently to a jellyfish sting. Some may experience minor discomfort while others go into shock sometimes leading to death if not treated promptly. Jellyfish sting their victim with their tentacles. When a person gets in contact with them, this can trigger millions of nematocysts penetrating the skin and releasing venom. Even beached or a dead jellyfish can still inject poison to its victims. 1. The first step is to protect rescuers from the stinger. Rescue teams should wear protective clothing while removing jellies or tentacles from the victim. 2. The next phase is to get the injured person out of the water. 3. Removing stinging cells or nematocysts is the next step to avoid further delivery of poison to the victim's body. The cells can be scraped with a knife, safety razor or credit card. 4. Pouring vinegar on the affected area is an effective method to neutralise the venom. A towel dampened with vinegar can be dabbed on stings around the eyes. If there is no vinegar available on the spot, salt water may be used. Fresh water is not recommended if the incident occurred in a body of salt water because it will affect tonicity and can even trigger release of additional venom. Alcohol, spirits, ammonia and even urine are not effective methods of treatment. 5. Irritation, discomfort and pain are relieved by administering antihistamines. 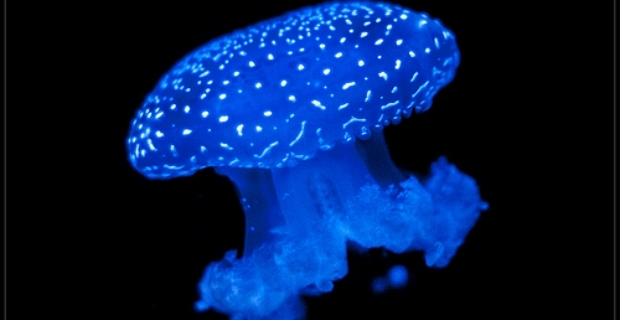 For those with extreme reaction to a jellyfish sting, immunobased antivenins are given by qualified medical personnel. 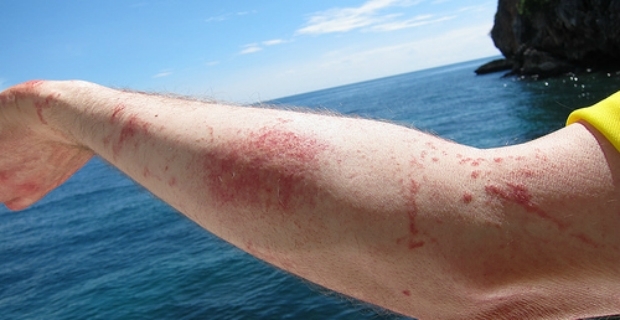 A jellyfish sting can produce excruciating pain. If you are swimming alone, try to get to shore as quick as you can and seek help immediately. Make sure you know when jellyfish season is on. In the UK, the hot weather is one of the reasons contributing to the recent increase in jellyfish sightings. ‘Smacks’ or jellyfish blooms were seen in Devon and Cornwall this year and coastal holidaymakers are warned not to stay too close to these creatures.